1991! In my attempt to faithfully listen to every Phish show ever played, I have finally made it through 1990, a year filled with great Possums, David Bowies, and a hell of a lot of traditional Mike's Grooves. I'd be lying if I said that 1990 hadn't started to get a little grating by the end. 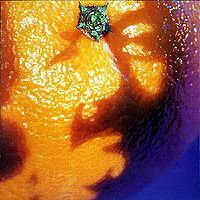 Things started to get a little too repetitive, and while it was cool to hear the debut of songs like Llama, Tweezer, Coil, Cavern, Tube, and Stash, my enthusiasm had become deflated by the end of the year after listening to almost literally 100 renditions of Bouncing Around the Room. BUT ENOUGH ABOUT THAT! On to a new show, a new year, and new songs! 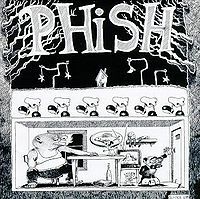 Unfortunately, it might have been a bit too optimistic to assume that only a month off would have produced a completely new Phish, ready for liftoff into the Type II stratosphere. 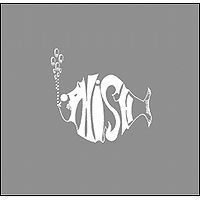 The good news is that Phish is still a great band with great songs, and the month off gave them some time to write some new songs and recapture any lost momentum from the disappointing close to 1990! The show starts off with a bouncy My Sweet One followed by a decent Foam. Tweezer follows, and it's probably one of the better versions of the song up to that point. It doesn't leave its decidedly repetitive groove much, but Trey plays some cool licks, the SBD is nice, and it's followed by the first ever Tweezer Reprise. It's strange hearing it immediately after Tweezer, but it works. Magilla is after that and it features a drum part from Fish that's so different it almost feels like a new song. It's definitely worth hearing, but not in the "that was awesome" kind of way, unfortunately. It does feature a great, real Fish drum solo, though! Aside: I love that Phish is the kind of band that is willing to debut songs that are occasionally unpolished just to get the crowd reaction. It's that kind of daring that gave us the (in my opinion) excellent 10/31/13 and (in everyone's opinion) excellent 10/31/14 shows. That particular brand of bravery was on display again tonight (as it was on 9/13/90) as the band debuted three new tunes. Guelah Papyrus, a fan favorite appears for the first time at this show, and it's pretty sloppy. Still, I think The Asse Festival works better when paired with Guelah. The end of Runaway Jim is butchered pretty badly, but results in an interesting semi-acapella outro that's worth hearing. Bouncing is pretty sloppy (and I have a well-tuned ear to that after 80+ versions in 1990, so trust me), and the set ends with a standard Bowie except for the thrilling coda! Set 2 opens with the first ever Chalk Dust Torture, and it's pretty great. This is one of my all-time favorite Phish songs, so it was definitely cool to hear in this spot. Reba has an average jam and a lot of slop in the outro. The Landlady is pretty average too. The Mango Song is finally back! It's been over a year, but The Mango Song sounds well practiced with great precision from Trey on the highly specific guitar runs. It is a good version of the song and worth mentioning due to just to the fact that it's been such a long time since the song was played live. It had been so long, in fact, that Trey actually noted that it was a completely new song! Cavern and Alumni close the show in a truncated fashion (stupid Brown curfew), leaving a bitter taste in my mouth. The show was solid and had some great moments, but it never really got a chance to get going. I'm going to go with 3/5 stars on this one, but it's easily as good of a show as almost anything you could pick out of a hat from 1990...Read: It's worth a listen. 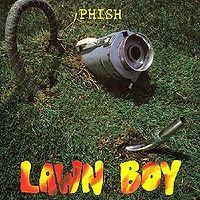 The first show of 1991 and it really sets the tone for the rest of the year (and Phish's career). A typical first show of the year. Lots of new material in its infant form, but also some pretty strong takes from their existing catalog (Reba, Bowie). This all mixes together in a stereotypical warm up show. The majority of the first set is strung together with the guys dishing out there new material for the first time in a setlist. This doesn't make for any strong or noteworthy versions of anything. But the Bowie that closes the set is pretty strong (as always). CDT is born to start the first set, and is as straightforward a version as they'll ever play of it. The Reba that follows is superb even for early Phish standards. Mango Song is also pretty strong. And unfortunately just as the momentum slowly grows the guys basically get kicked off stage for curfew. I would guess they had about 20-30mins of material planned for the remainder of the show maybe a little more. It's a shame to think of what could have been played to add to this particular show. I could see a nice Harry Hood or Antelope being tagged at the end of the set. But we will never know! All in all a 3 star show based on historical value as well as some top notch versions of songs.